Gelded by Chronos with one stroke so bold. Uranus, the mystic grandfather of all existence, characterizes the original evolutionary impulse. The story of Uranus is rooted in the Greek Creation Myth. It speaks to us from the remote depths of the unknown, before the birth of human consciousness. It represents an aspect of the universe which appeared before space and time (Cronos). Zero is pure unmanifest potential, even prior to the original impulse. Its psychic equivalent is superconsciousness. In the Tarot, this trump is numbered 0, and alternately 22, implying it is nothing and everything. All matter plus gravity in the observable universe equals zero. So the universe could come from nothing because it is, fundamentally nothing (Guth, 2002). Zero is primordial awareness -- the field or ground in which the contents of consciousness play out. In the Vedas, all creation is considered mindstuff -- an illusion of being. Return to the primordial vacuum, a boiling stew from which pairs of positive and negative subatomic particles bubble into being for the briefest of instants. Inflationary theory suggests that what erupted was a "false vacuum," a peculiar form of matter predicted to exist by many particle theorists. It is characterized by a repulsive gravitational field, one so strong it can explode into a universe. The false vacuum does not "thin out" during expansion; rather, its density remains constant even as it grows, creating vast quantities of ever-doubling energy, which decayed into a seething plasma of particles such as electrons, positrons and neutrinos. This hot soup neutralized to form simple atoms 300,000 years later. The simple atoms, like hydrogen, helium, and lithium, were ripped apart and crushed together to form more complex, heavier atoms inside stars. Exploded into space by supernovas, they became the matter we see--and are--today. In terms of personal experience Uranus represents experiences from conception through growth in the womb (space/time) and emergence into independent existence. It is pre-conceptual consciousness, pure creative consciousness emerging from the fount of Chaos. Uranus is a god of the starry heavens, and was not the first force to appear in the Universe. 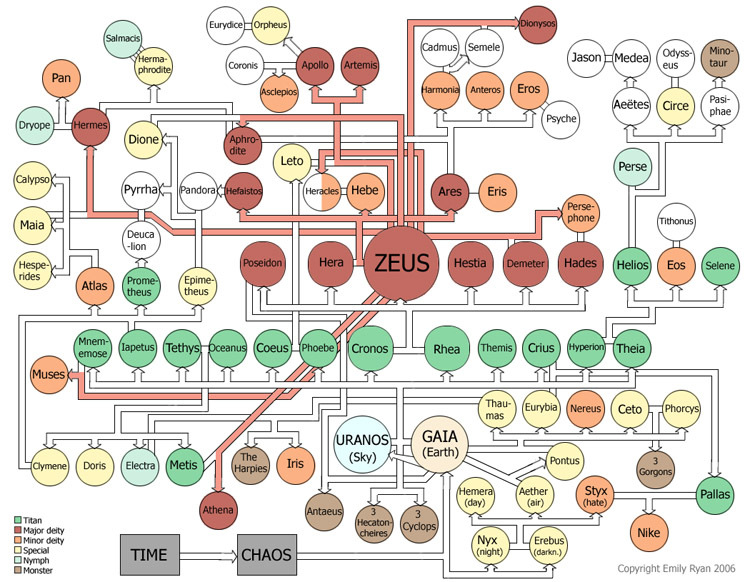 According to this classical myth, only Chaos existed in the beginning. The seemingly random element produced Gaea, the deep-breasted earth or matter, from within infinite potential. For matter to exist, the force of attraction also had to appear (super-celestial Eros). Uranus is Gaea's first-born child. In other words, the first descent of matter into the threshold of concrete existence came from a chaotic matrix, the virtual vacuum fluctuation. This cosmic trinity of chaos, matter, and attraction lies at the heart of modern chaos theory. It bears directly on another Greek archetype that we all share--the psyche. Scientists have found that the principle of underlying chaos deterministically conditions many of the patterns of physical existence. Chaos is found in our brainwaves, heartbeats, the fractal structure of our breathing, circulatory, digestive, and nervous systems. We see chaos in all natural processes from the weather to evolution. And the turbulence in our lives reminds us that "we are that." Just as the ancient pantheon provided a foundational orientation for the Greeks, so chaos theory can provide us with a model of consciousness for constructing cognitive maps of the psyche and experiential consciousness journeys. Uranus-consciousness is experienced as drifting and floating in vast expanses of starry space, or identification with galaxies from the barely formative stage to full spirals, and feeling that spirally motion until letting go to primordial chaos. By embracing the chaos in our lives--learning to re-honor the principle--we can begin balancing out millennia of identification which held that only order equates with "good." Part of our cultural heritage is the programming that we should stave off chaos and disruption at every point. But the continual dynamic interplay of chaos and order is fundamental to our well-being. Embracing that in the here and now is the foundation of our existential situation, and conditions us in terms of faith and trust, worry or freedom from fear. Uranus represents deep subconscious forces which operate well below the normal state of awareness. It is nonlinear, free consciousness which emerges in unexpected, bizarre ways like dreams and intuitions when the ego is asleep or preoccupied. In terms of states of consciousness, it is cosmic consciousness, a non-ordinary perception of oneness with deep space and identification with all creation -- past, present and future. Uranus is the first patterning of matter once it emerges from total chaos. In embryonic development it means the stage from conception to that where all cells are still completely undifferentiated and full of all potential. There is no brain development, so the experience is totally raw, impressionistic and visceral. Sometimes it is psychologically more fruitful to "let go" of control, pass through the chaotic de-structured state, and discover what happens on the other side. Chaos is definitely part of the process of creation and creativity. It generates the new order spontaneously from deep within itself. What makes it imperative for us to embrace the new scientific paradigm implied by chaos theory? By rejecting chaos, we reject Gaea. And she is not only the Earth, the love of the planet, the integrity of life forms, but all matter in the universe including your own physical body. Returning to these deep states of consciousness, the well-springs of our being, fosters a new kind of love of our own physical embodiment. This new image of self arises from the most primordial level. Whatever the essence of chaos is, we are that. By rejecting it, we run the danger of rejecting our selves. Chaos is the essence of life. Chaos is essential to health. Chaos describes the structural growth patterns in nature. Chaos theory leads to a new vision of matter, one no longer passive, but one associated with spontaneous, creative, nonlinear activity, and a healing state of consciousness. We repeat the creation myth when we are conceived as living beings from the raw material of atomic substance in interaction with the universal consciousness field. Scientists tell us now that we are made of same stuff as the stars. Our elements were forged in a supernova explosion. The material of the universe is constantly recycled through many forms. The interaction of positive and negative elements results in the force of attraction, variously termed gravity, electromagnetism, or love, or conception. Thus the force of generation arises, or is born. Uranus represents a grossly unconscious condition. We might all be said to begin in this primordial condition in the womb, where we are united with the ocean of the subconscious, or primal mothering principle. When awareness first develops, it is on a grossly material level. All signals come from the physical body, with no awareness of "out there," the world of space and time. As we grow older, signals still come to us through our bodies, materializing in the form of psychosomatic disorders. These come to us through Uranus who fathered our prototypical instincts in an incestuous union with his mother Gaea. The birth of the children of this pair, the Titans, marked a golden age for mankind's awareness. The age of the Titans meant that mankind lived in harmony with his instinctual nature, since he had no awareness to set up a conflicting point of view. There was no dichotomy. The Titans were the forerunners of astrological signs of the Zodiac and included Theia, Rhea, Mnemosyne, Phoebe, Tethys, Themis, Oceanus, Coeus, Hyperion, Crius, Iapetus, and Cronos, plus assorted monsters. But, Uranus, had a curious relationship to his offspring and sought to repress their appearance. His method was to push them back into their mother, or imprison them in matter. This repression of instinctual energies seeking a form in matter results in a blockage or obstacle which manifests as a psychosomatic disorder. That which cannot achieve spiritual birth is condemned to manifest in matter, since it can achieve consciousness no other way. The repressed instinct confronts the human awareness in such disorders as asthma, allergies, and colitis. No wonder the body gets indigestion from these "children" being shoved back down its throat. The body is forced into hysterical over-reaction and peculiar immune system response. Uranus represses his own power of creativity, or at least its manifestations. The result is the seeds of rebellion sprout in a plot between Gaea and Cronos. Time and materiality conspire to limit the domain of Uranus. The genetic pattern is continuing to unfold and more and more structure develops in the fetus. Over time, corporality creates a more developed central nervous system which develops qualitatively different perceptions from the undifferentiated organism. When Cronos or Saturn solidifies as the ego, the Uranus consciousness is recalled as a pre-egoic state of intimate identification, undifferentiation. Cronos castrates his devouring father, emasculating him and freeing his siblings. 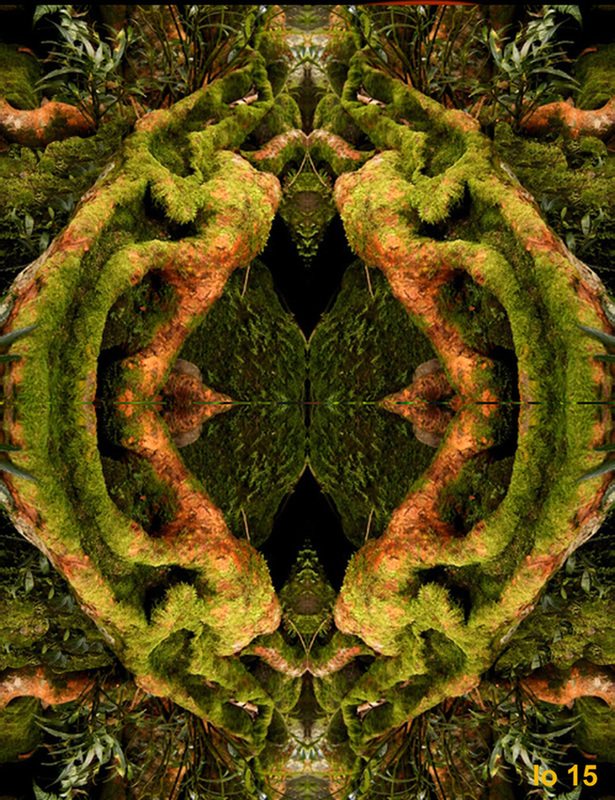 Archetypal patterns repeat themselves over and over. 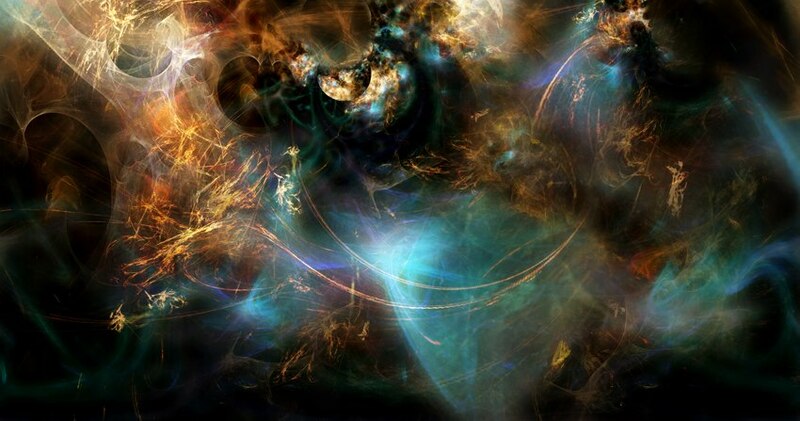 Archetypes function in the psyche like the magnetic strange attractors of chaos theory. They are the center around which certain patterns gravitate. Time and matter eventually limit the manifestation of the archetypal instincts. We become conditioned to some patterns over others. Our total potential becomes limited to a finite portion of fate or destiny which our brief lifetimes afford. They return to their mythic dimension when we die, and our atoms are transformed back into their primordial elements, perhaps to recombine in vastly different bodies. The main issue or myth theme of Uranus is the tendency to drastically limit his own potential for engendering and procreation. There are many forms of physical creativity. With no foresight or hindsight, and no perspective on time, he fought against the actualization of his own creative potentialities through self-destructive reactions. When we engage in self-defeating, self-sabatoging efforts that nip our creativity in the bud, we are acting like Uranus. This hostile ancestor was a reluctant progenitor, who paid dearly when time finally caught up with him. In the Newsweek article, the neuromagnetics research of neuropsychologist Dr. Michael Persinger is given a cursory review in regard to Temporal Lobe Transients (TLTs) which are implicated as miniseizures in producing a variety of perceptual anomolies combined with a sense of deep meaning. "As a human being, I am concerned about the illusionary explanations for human consciousness and the future of human existence. Consequently after writing [NBGB], I began the systematic application of complex electromagnetic fields to discern the patterns that will induce experiences (sensed presence) that are attributed to the myriad of ego-alien intrusions which range from gods to aliens. The research is not to demean anyone's religious/mystical experience but instead to determine which portions of the brain or its electromagnetic patterns generate the experience. Two thousand years of philosophy have taught us that attempting to prove or disprove realities may never have discrete verbal (linguistic) solutions because of the limitation of this measurement. The research has been encouraged by the historical fact that most wars and group degradations are coupled implicitly to god beliefs and to the presumption that those who do not believe the same as the experient are somehow less human and hence expendable. Although these egocentric propensities may have had adaptive significance, their utility for the species' future may be questionable." His technique, using solenoids in a helmet for input, is fairly simple. A hand-held computer programs the predefined pattern at which the fields will fluctuate. The impulses move through the temporal lobe and penetrate deep into the brain, where they interfere and interact with the complex electrical patterns of the subject's neural fields. The new patterns spread through the limbic system, producing sensations that range from subtle to profound. Persinger's research goal is to use his device to trigger transcendental experiences in nonreligious people faced with the fear of death. Persinger has tickled the temporal lobes of around a 1000 people and has concluded, among other things, that different subjects label this ghostly perception with the names that their cultures have trained them to use -- Elijah, Jesus, the Virgin Mary, Mohammed, the Sky Spirit. Some subjects have emerged with Freudian interpretations - describing the presence as one's grandfather, for instance - while others, agnostics with more than a passing faith in UFOs, tell something that sounds more like a standard alien-abduction story. Persinger has discovered that when he aims for the amygdala, his subjects experience sexual arousal. When he focuses the solenoids on the right hemisphere of their temporal lobes, they sense on the left side of their body a negative presence -- an alien or a devil, say. When he switches to left left hemisphere, his subjects sense a benevolent force: an angel or a god. Focused on the hippocampus, the personal electromagnetic relaxation device will produce the sort of opiate effects that Ecstasy does today. So far, subjects report no adverse side effects. However, "if you interfere with the opiate pattern, people get very irritated,"
Persinger says. In fact, "they'll actually cuss you out." Persinger asserts that, "God Experiences are products of the human brain. When certain portions of the brain are stimulated, God Experiences, tempered by the person's learning history, are evoked. They appear to have emerged within the human species as a means of dealing with the expanded capacity to anticipate aversive events. God Experiences contain common themes of "knowing," forced thinking, inner voices, familiarity, and sensations of uplifting movements." God Concepts are determined by verbal conditioning; perceptions are constructions. When multiple events occur within a week, they are usually given special labels, such as "revelations," "communions," or "conversions." People with TLTs experience vivid landscapes or perceive forms of living things. Some of these entities are not humans, but are described as little men, glowing forms, or bright, shining sources. The modality of the experience, that is, whether it is experienced as a sound, a smell, a scene (vision), or an intense feeling, reflects the area of the electrical instability. The experiences, whether visual or auditory, may have actually happened or they may be mixtures of fantasy and reality. Sometimes they may be fixed in space and time, while in other cases they may be as dynamic as everyday experiences. However, whether they are dreamlike or vivid, they are experienced as real. Persinger is not saying that the experiences of God are synonymous with temporal lobe epilepsy. However, when vast depolarizing waves spread across millions of cells, all types of memories and fantasies are mixed and mashed together. But the God Experience is a normal and more organized pattern of temporal lobe activity, precipitated by subtle psychological factors such as personal stress, loss, and anticipated death. The gut feeling is a sense of familiarity, deep meaning, conviction and importance, even euphoria or mania (alternately fear and terror). The brain's chemical reaction is to release natural opiates and other mood elevating neurotransmitters. During TLTs, the person peers into another realm which has many names, heaven, the world of spirits, or the other dimension. Trained meditators, (employing rhythmic stimulus to the CNS such as a mantra or "emptying", changes in oxygen and blood sugar levels), can drive the temporal lobe into bouts of theta activity. Sometimes frank electrical seizures occur and the God Experience is reported. Neuroscientist Todd Murphy, www.jps.net/brainsci/, has done a good job of summarizing Persinger's research in simpler language. He describes consciousness as a feedback interface of sensory and cognitive modalities. Low intensity magnetic fields orchestrate communication between lobes of the brain, at a speed much faster than the bioelectrical or biochemical process of neurons. Different signals produce different phenomena. The temporal lobes are the parts of the brain that mediate states of consciousness. Multiple modalities are experienced simultaneously, with the implication that they are 'reset' all at once by neuromagnetic signals which come in pairs, running slightly out of phase with one another. In this way, neuromagnetic signals, like the two laser beams used to produce a hologram, might be able to store information. The speeds at which neuromagnetic signals are propagated and their capacity to recruit/alter multiple modalities suggests that they were naturally selected to make instant choices to alter states of consciousness, and to do so quickly to facilitate adaptive behavior. Murphy's many articles include not only the production of consciousness and states of consciousness, the God experience, but deja vu, and the spiritual personality. Long-term memory is seated in the surface of the bottom of the temporal lobes in the para hippocampal cortex, closely connected to the hippocampus. Usually, there is seamless integration of past, present and future. We experience something in the present, compare it to the past and decide how to respond in a few seconds. But once in a while, in Deja Vu, there is too much communication between short-term and long-term memories. Then the present can feel like the past. If present perceptions are shunted through the brain areas that process memories from the past, those perceptions feel like memories, and we feel we are re-living a moment stored in long-term memory. The opposite happens in Jamais Vu: things seem totally unfamily because of too little connection between long-term memory and perceptions from the present. Nothing we experience seems to have anything to do with the past. If these experiences spill over into the amygdala they are highly emotional. If goes to the right it is unpleasant or fearful, to the left from ecstatic to beautific. Another experiential phenomenon is time distortion. Murphy describes the phenomenon of the Sensed Presence and how it emerges from out of phase processes in different hemispheres of the brain. He also relates the sensed presence with the behavior and feelings of romantic love. The 'self' is what we experience when a specific pattern of brain activity is happening. It is linked to the Forty Hertz Component which appears from the temporal lobes, and two of it's deeper structures, the amygdala and the hippocampus. The 40 Hz signal is only not there in dreamless sleep. The maintenance of the sense of self is repeated 40 times per second and each time it can manifest a new emotional response to changing circumstances every 25 milliseconds. These structures on both sides of the brain yield two 'selves,' two senses of self. One is on the left, and one on the right, but they are not equals. The left-sided sense of self is dominant in most people; right side subordinate non-verbal, introspective. The left is the one where language happens, maintaining our stream of inner words and thoughts about everything we experience or can imagine. Each normal brain function involves a primary operative area on one side with a subordinate homologous or corresponding area on the other. On the other side of the brain, following the rule that each thing on one side of the brain does the opposite of what the same thing on the other side does, we get the conclusion that there is a non-linguistic sense of self on the right side of the brain. Usually the two selves work in tandem. But if the two fall out of phase, and the left-sided self manifests by itself, we experience our own, right-sided silent sense of self coming out where the left sided sense of self experiences it as "other," as not-self. This leads to the phenomenon of Sensed Presence, actually the Silent Self. Electrical activity in the amygdala, hippocampus and temporal can 'spill over' into nearby structures. If it ignites the visual area, intense visions of an entity of some sort emerge (left amygdala-positive imagery; right side-negative images/entities). Kindling the olfactory region leads to unique scents; the somatosensory stimulation leads to buzzing, energetic, or tingly sensations or perceptions of being lifted or floating; language center activation produces choices, music or noise; long-term memory (lower portion of temporal lobes) access yields interactive virtual realities, complete with emotions, much like waking dreams. The thalamus is implicated in aura vision, and the reticular activating system in life reviews. Because positive thoughts (involving the right hippocampus), and positive feelings (involving the left amygdala) are on opposite sides of the brain, prayer or meditation changes the balance of activity on the two sides. These structures have some of the lowest firing thresholds in the brain and are thus likely to mismatch their metabolic rates of activity. Whenever that's happening, chances of the activity of the two sides falling out of phase with each other increases. Then the 'right self' is experienced as an external presence. Sensed presence experiences become more common until the day arrives when God's presence is something the person feels at all times. In mystical experience language fails, and a person's sense of themselves can be transformed. Since we can't experience two senses of self, one is projected as other, the Beloved, either romantic or spiritual. There is thus some truth to the saying that the beloved is God, and that when we love God we are loving ourselves. I and Thou are One. The other becomes the Self. There is an interesting expression of the paradoxical nature of the wholeness or unity of consciousness represented by Uranus in our modern culture. The cosmological Uranus is a malicious, ferocious power who thwarts even his own progress. This picture of conservatism is directly opposed by the image we find of Uranus in modern astrology. Since Uranus was only discovered in 1781, it has no ancient Chaldean astrological tradition like the bodies lying within the "ring pass not" of Saturn. When we look to the astrological descriptors of Uranus, we don't find a model of conservatism, but just the opposite. Here Uranus is the random element or creative innovation, as well as erraticism and rebellion. Uranus reveals the underlying matrix of Chaos at work in the universe. It is a structure-annihilating force. It shows while spirit is still working through material conditions it is completely controlled by the mind. Uranus is the great synthesizer of the various aspects of intelligence symbolized by all the planets and weaves them into a synthetic whole, and from that comes the fully individualized human, the complete person, the master. This paradox of building and annihilating forces embodies the fight against one's self, symbolized by the eternal battle between youth and old age, the generation gap. The polarity of this situation stems from the different archetypes motivating the participants. Youth resolves to live in a liberal manner, different from the traditional collective values of the ancestor, and the battle is on! The "old guard" would like to control and direct the youth into fitting into his world, but the youth would create a unique future development of his own. In our life experiences, we are sometimes the youth and sometimes the conformist, the liberal or conservative. Our position at any given time is relative to our social position, age, and relationships. Those locked in the Uranus perspective are unconscious of their attitude and lack any self-awareness or psychological insight. This yields an unconscious identification with herd instinct or group consciousness, with no room for individuality. When we move into structure, we tend to become more and more rigid, the patterns become more fixed. This order is self-generated from chaos, but when it becomes too rigid, the process moves toward chaos once again--death, decay, total de-structuring. It happens on the physical level to our bodies, to our emotions in our ups and downs, in the creation and destruction of our thoughts, and in the transformations within our belief systems. We embrace and identify with a pattern which emerges from the creative chaos, but eventually we must sacrifice it, let it go--for no pattern is our true essence. In participation mystique, the consciousness is identified with the environment through projection. Through the psychological process of individuation, we do not become indifferent to the material world, but the nature of our involvement with it changes. As the projections of our instinctual or archetypal natures are gradually recognized and assimilated, the character of an individual's relation to the world undergoes a profound alteration. When we get these projections returned to the organism this time, it is on a mental level, and we can digest them rather than letting them make us ill. The identification with an object (a role, another person, a possession, etc.) is known as participation mystique. It means part of oneself is "projected" into, or becomes invested in something other than oneself. The identification is pre-conditioned by the primal self image and subsequent experiences. Uranus creates some bizarre twists in participation mystique. For example, the third-world wife of an "UFO abductee" began to have her own confirming experiences. Simply put she had two choices--to reject him and his reports or join in. At the end of a prior marriage, having no skills, she was forced to stay over a year with her ex-husband because of financial and dependency issues. Still in the same boat, her subconscious colluded in providing her with common bizarre UFO experiences with her husband. They live in an isolated world with no identifiable boundaries or sanctuary; it is just the two of them against the disbelieving world and the unknown, invasive, violating force. In a more mundane, yet typical example, a couple of lovers involved in this level would allow one another to symbolize their unlived aspects of life (contrasexual side), instead of developing a consciousness which perceives all individuals as having both male and female qualities. Folie à deux [fä l´ a doo´] is the simultaneous occurrence of the same mental disorder in two people who are closely associated, when one appears to have influenced the other. (From French; "double insanity.") Similarly, folie à trois, folie à quatre. Shared psychotic disorder (Folie à Deux); a variety of dissociative behavior. Delusion develops in a person in the context of a close relationship with someone who has an already established delusion; Similar content to delusion; Not due to another mental disorder. Not due to medical, neurological or substance-induced disorder. Your identification with objects, your roles, other people, and your possessions may border on what is known as participation mystique. It is a way of being involved with externals to the point where they seem to exert a magical effect over you. If you use people or objects to mood-alter yourself, they possess you, and you can't possibly relate to rationally. You have literally invested your energy in something other than yourself...and have given a piece of yourself away. Mutual projections by lovers can result in all sorts of folly and shared delusions. Frequently people fall in love with those who have traits they would like to actualize in themselves. Instead of manifesting that, we let the other carry those qualities and try to patch the hole in our wholeness. This counter-projection can result in the syndrome of folie a deux, or the "madness of two." This accounts for the "just us against the world" mentality. Any psychological deviation of one is condoned and reinforced in the other in a spiraling move away from consensus reality into isolation. A less radical version of this process happens for most who fall in love. The delusion is usually within the realm of possibility and often is based on past common experience. Their ability to deal with reality is undermined in favor of an escape into romantic fantasy and self-justification. This is much easier for weak egos. Mutual projection is also the basis of personality cults, but the roles are simply switched to teacher and disciple as Platonic lovers. There is an unconscious fascination, an enchantment, which comes from seeing yourself reflected in your beloved, whether it is true or not. Another example of this fascination or participation mystique is the creation of talismans. Talismans are objects you invest with seemingly magical powers to influence a situation. This is the basis of sympathetic magic. It accounts for the recent fad of using crystals as healing stones. It is fine if you use them to focus your creative imagination, but don't mistake the fact that it is your own investment of energy that brings the transformations rather than any inherent quality in the crystal. Belief systems perpetuate a mystery feeling that can lead to illusory convictions about the way things work. When not of pathological character, shared follies still happen to us and are called "participation mystique" in Jungian psychology. They are the product of psychic contagion and when they are positive are the basis of the placebo effect, faith healings, shamanic healing, and psychotherapeutic healing. There is an unconscious fascination which comes from seeing oneself reflected in the "other," whether the other contains this quality or not. It appears to contain it when we are under the influence of participation mystique. Another example is investing an object with "magical" powers to influence a situation, like a love charm or talisman. This type of thinking perpetuates an illusory conviction concerning "the ways things are." As this fascination dissolves, the individual's attitudes and reactions to situations becomes freer and more objective. The projected contents "return" to their proper home in the psyche, and are realized on a conscious level. They are perceived as psychological reality, instead of physical reality. We are no longer at the mercy of the actions and moods of another person or the environment. The source of feelings is known to exist within ourselves. Participation mystique is the original unconscious condition of psychological ignorance. The gods and demons in Jung's writings were not regarded as psychic projections of the unconscious, but as self-evident realities. In the Age of Enlightenment people "discovered" that the gods did not really exist, but were simply projections of our unconsciousness. Thus, they were promptly dismissed as lacking religious value, and deposed from their thrones. But the corresponding psychological function was by no means ended by this over-rational analytical rejection. It was Uranus rejecting the children once again. The activity of the collective patterns was repressed into unconsciousness where it became mental and physical diseases, such as tumors and hysterical reactions. Modern man has been poisoned by this surplus of libido or psychic energy which once was contained in the cult(ure) of the divine images. Our conscious awareness can assimilate, understand and elaborate its relationship to projections of the unconscious contents. It can come to know various autonomous portions of the psyche as personified archetypes. All the archetypes are the generations of the primordial ancestor Uranus. All patterns come from the archetype of patterns descended from matter. These personifications appear as guides, demons, gods or goddesses, etc. Failure to voluntarily acknowledge them may result in consciousness being overwhelmed by a somatic reaction or disturbance of the body. Or mental illness and disorientation may be the result of a flood of unconscious psychic contents. Personification helps the conscious ego create a dialogue with these inner beings. It is the multiple consciousness form of I-Thou dialogue. 1) FATHERS AND MOTHERS, James Hillman, Ed. "The Devouring Father," by Murray Stein, Spring Publications, Dallas, 197 . 2) "Uranus and Prometheus," SPRING 1983, Richard T. Tarnas, Spring Pub., Dallas, 1983. Uranus is a variation on the theme of "Sky Father," and shares this in common with Cronos and Zeus who are his descendants. As a sky father, he represents a spiritual impulse. The Greek creation myth shows the negative issuing into manifestation reflecting the Spirit in search of experience. Chaos, the gaping maw of open space is a pure cosmic principle which has no god-form. Gaea, on the other hand, was represented as a primal woman of gigantic proportions. Uranus had no cult in Greece, even though Uranus and Gaea are considered the grandparents of the world. Uranus certainly wasn't a benevolent parent, perhaps indicating that the original spiritual impulse was reluctant to manifest at all, and didn't seem to like the idea of regeneration. Its tendency was to remain abstract, but its method of repressing itself created a reactionary revolutionary, which Uranus self-generated from his own pattern. This revolution created the dimension of the experience of space and time, with several of its concomitant qualities, including absolute justice or karma, also termed natural consequences. This is known as the law of action and reaction, or thermodynamics. This furious expression of Cronos is not tempered by Mercy until the appearance of his offspring Zeus. Thermodynamics (Cronos) and matter (Gaea) led to the manifest universe. Gaea also created the first race of gods, and gave birth to the first human. She contained within herself the gift of foretelling the future. She contains all the potentiality for manifestation, as is therefore a prophetess. Also she is the guardian of the sanctity of oaths, including the marriage oath. This is another arc of the relationship among polar opposites. The spiritual myth which exemplifies the cosmological nature of Uranus is that of the ANCIENT OF DAYS. There are a few variations of form for this cosmic man, depending on the level of functioning in the creation. It has different names on different planes. The Most Ancient One, or Ancient of the Ancients creates and produces the essence of light (Zeus). This primordial Being, also known as the Vast or Great Countenance gives birth to the Lesser Countenance or primordial Man. The image is one of the Father of All Things, the Sacred Ancestor, "The White Head." In the Hebrew text THE ZOHAR describes the ancient one as wearing white robes. His face is vast, luminous, and terrible. He sits on a throne of flaming light. The white light streaming from His face illumines four hundred thousand worlds. Thirteen thousand myriads of worlds come into light from His skull, which emanates a mysterious dew that has the power to awaken the spiritual dead into everlasting life. This "Great Face" or "Long Face" is that of the Aged of Aged who has been before the beginning. He generates the "Short Face" which is this Creation. The hair and beard of this Ancient of Ancients extends to the uttermost parts of the universe. From His skull hang down a thousand myriad worlds, seven thousand and five hundred curling hairs which are not mingled lest confusion exist. In each curl are four hundred and ten locks of hair and these hairs radiate into four hundred and ten worlds. In the hollow of His skull is the supreme hidden Wisdom. His brain extends by the thirty-two paths of the Tree of Life. Thirteen fountains flow forth from His beard. His hands pour out the Mother and Father rays. As the Ancient of Days, God issues from his concealment. The abyss of Deity is the body of Macroprosopus which gives birth to Microprosopus, the god-image in man. In the Qabala, the primal sphere Kether emanates forth from the vast ocean of spirit. Kether is called the which is Limitless Light Which is Not and also the Fiery Darkness. Kether is also identified as Ain, Nothingness -- the Absolute No-Thing and root of Every-thing. At some infinitesimal place between Zero and One, there appeared a slight excess of matter over anti-matter which created our universe. This god-image of the ANTHROPOS has come back in mythic form as the scientific theory known as the Anthropic Principle, which alleges that the universe is a vast living being with intentionality. He is the cosmic counterpart of the living Earth, Gaea. Gaea could be corresponded with the theory of the universal dispersion of life by micro-organisms ubiquitous in deep space, Panspermia. The Archetype of the Anthropos still exerts such an influence on modern thought that it has been formalized in cosmology as the Anthropic Principle, even though there are numerous scientific arguments and theories against this persistent notion. Anthropic arguments of this type have an honorable history from the 19th century, when the Earth could not be dated directly. Our discussion of cosmology so far has leaned heavily on the Copernican principle that we are not privileged observers of the universe. However, there are some aspects of the subject for which this principle has to be discarded; as in quantum mechanics, we have to ask whether the mere presence of an observer influences the system under study. At first sight, it may seem absurd to think of humanity influencing in any way the global properties of the universe, but the simple fact of our existence does turn out to have profound consequences. These ideas are given the label ``anthropic'', and we speak of the anthropic principle when discussing the universe in the context of the existence of observers. However, this is an area that generates controversy, and not everyone will agree on the degree of importance of anthropic ideas. See Barrow & Tipler (1986) for a thorough review of the subject. Like religious schisms, the anthropic dogma comes in varying forms and degrees of elaboration. 2. Observers are necessary to bring the Universe into being (Wheeler's Participatory Anthropic Principle (PAP)). Or... 3. An ensemble of other different universes is necessary for the existence of our Universe (which may be related to the Many-Worlds interpretation of quantum mechanics). Final Anthropic Principle (FAP): Intelligent information-processing must come into existence in the Universe, and, once it comes into existence, it will never die out. It appears as though we live in a special universe. Some quantities seem to be highly improbable values, for example, the flatness of the Universe is disturbing. Note that if some of the finely-balanced quantities were not finely-tuned then our Universe would have grossly different properties. The properties would in fact be so different that it is highly likely that life (as we know it) would not develop and be around to ask the question of why the Universe is special. That is, selection effects would say that it is only in universes where the conditions are right for life (thus pre-selecting certain universe) is it possible for the questions of specialness to be posed. This statement and variants of this statement are the gist of the Anthropic Principle. Note that the Anthropic Principle is probably true and says that there is nothing mysterious about why our Universe is special. However, it does not rule out the possibility that there is a deeper level to our understanding of the Universe which makes our Universe the most probable universe from the plethora of all possible universes. This still may be true but is not required philosophically or scientifically. One of the most startling developments from modern physics is that the universe, in some very fundamental way, seems to have been "designed" or "tuned" to produce life and consciousness. Actually, what physicists have discovered is that there are a large number of "coincidences" inherent in the fundamental laws and constants of nature. Every one of these coincidences or specific relationships between fundamental physical parameters is needed, or the evolution of life and consciousness as we know it could not have happened. The collection of these coincidences is an undisputed fact, and collectively, have come to be known as the "Anthropic Principle." An excellent and complete analysis and of this principle, its historical background, the physical evidence for its acceptance, and resulting implications are provided in the The Anthropic Cosmological Principle by John D. Barrow and Frank J. Tipler (Oxford University Press). In the introduction they state, "Most perturbations of the fundamental constants of Nature away from their actual numerical values lead to model worlds that are still-born, unable to generate observers and become cognizable. Usually, they allow neither nuclei, atoms nor stars to exist" (page 20). And from an earlier paragraph supporting the same point they cite P. Davies and M. Rees, "For example, if the relative strengths of the nuclear and electromagnetic forces were to be slightly different then carbon atoms could not exist in Nature (Davies) and human physicists would not have evolved. Likewise, many of the global properties of the Universe, for instance the ratio of the number of photons to protons (Rees), must be found to lie within a very narrow range if cosmic conditions are to allow carbon-based life to arise" (page 5). The barest statement of this fact is called the Weak Anthropic Principle (WAP), and essentially states that since we are here, the universe must have the properties, or coincidences, such that we could evolve. Although unquestioned and useful for making predictions about various aspects of the universe, the WAP offers no insight as to WHY the universe is this way. Some, based on their interpretation of quantum mechanics see a predominant role for the observer, and have gone so far as to suggest that observers are needed to bring the universe into existence. This version of the AP is called the Participatory Anthropic Principle (PAP). There are obviously some issues here that would have to be explained because the universe got along just fine before we came to exist, and also does so in areas where we can't make any observations. Others, seeking a more substantial answer to why, have gone on to postulate the Strong Anthropic Principle (SAP), which states that in order for the universe to exist at all, it is somehow necessary for it to have these special properties. In other words, the universe must have been "constructed" this way, and could not have come into existence any other way. The Final Anthropic Principle (FAP) goes a step beyond the SAP and says that not only MUST life come into existence, but once it does, it will last forever. Using the notion that energy can transform between radiation and matter, we can consider that consciousness may itself be another form of energy that has emerged through evolution. Conversely, the energy of the universe could have been completely in the form of consciousness priori to transforming into radiation and matter in the early universe. Joe and Dan Provenzano call this idea the "Holistic Anthropic Principle" (HAP). Of course, the broken vase (reminiscent of the qabalistic "breaking of the vessels") is only an analogy and proves nothing about the universe in general. However, it is a thought worth pursing. Perhaps consciousness is another "higher," more ordered form or state of energy, and suppose that the Big Bang was a "shattering" or "fragmenting" of energy in this higher state. Then the inherent properties of matter and energy which allow life and consciousness to appear are fundamental as remnants of a previous existence in an earlier state. Viewed in this light, we get a completely new insight into the why question by explaining how the universe could have come into being with the tendency to produce life and consciousness. Furthermore, when you consider that, in general, it is very difficult to recover much of an original completeness or beauty when something shatters, the HAP even sheds some light on why we would expect consciousness to be so rare, vulnerable and subject to so many problems (or evils). None of the other versions of the AP sheds light on all of these aspects. Incidentally, the idea that we are somehow the result of a "playfulness," an "experiment," or even a "fall" from God and/or the spiritual world, and that we are groping to find our way back is an ancient and common idea to both Eastern and Western religions. There are many theories in cosmology competing with even the most plausible Anthropic Principle. One of the newest competing theories is that of gravastars, which arguably replace the notion of blackholes, deep wells of cosmic nothingness. Black holes were first conceived in the early 1900s, long before the discovery of quantum physics, a revolutionary scientific field that describes the nature of many fundamental particles and forces. The first black hole proponents were ignorant of quantum fluctuations in the universe that affect everything from light particles to gravity, Mottola and Mazur observed. "We are usually not aware of the quantum medium we are immersed in," Mottola writes in New Scientist, "like a fish in a calm pond who is not aware of all the incessant jiggling of water molecules." Without quantum mechanics, the early theorists made crucial mistakes in envisioning black holes and their relationship with space and time, the two say. As a consequence, astronomers have been forced to face bizarre paradoxes spawned by black hole theory. For example, light photons would gain an infinite amount of energy when they reach an event horizon, according to classical theorists. But they ignore the gravitational effects of this unthinkable amount of energy. Mottola and Mazur think they have a better explanation for what happens to a collapsing star. Before a black hole could form, quantum effects would change space-time around an imploding giant, kicking off a radical phase transition akin to when liquid water becomes ice. The shift to a new state would lead to the formation of an exotic new object, the gravastar, a condensed bubble enveloped by a thin spherical shell of gravitational energy. In a paper submitted to Physical Review Letters, Mottola and Mazur argue that gravastars are consistent with classical laws of physics but do not have embarrassing inconsistencies as do black holes. Moreover, from Earth, they would appear much the same as classical black holes. Therefore, those chaotic dense hot spots throughout the universe that astronomers consider indirect proof of black holes could just as well support the existence of gravastars, they say. Mottola and Mazur hope the gravastar will shed light on even the deepest mysteries of the universe. The weighty object could explain intense gamma ray bursts from the distant universe. More boldly, they suggest the entire cosmos could itself be trapped inside a giant gravastar. Astronomers call the work of Mottola and Mazur everything from "outstandingly brilliant" to "unlikely." Perhaps it will take decades or longer for anyone to know really. Emil Mottola of the Los Alamos National Laboratory in New Mexico and Pawel Mazur of the University of South Carolina in Columbia think gravastars are cold, dense shells supported by a springy, weird space inside. They'd look like black holes, lit only by the material raining down onto them from outside. In fact, they seem to fit all the observational evidence for the existence of black holes. The result of a black hole is a "singularity" with infinite density, where the known laws of physics break down. The singularity's gravity would be so powerful itwould be cloaked in an "event horizon", a boundary beyond which matter or light couldn't escape. The dramatic idea of a black hole, which would rip to shreds anyone caught inside it, fired the imaginations of scientists, artists and writers alike. But no one has ever rooted the drama in fact, and Einstein completely repudiated it. We know there are compact objects millions of times as heavy as the Sun that hog the centers of galaxies. These black hole candidates give themselves away because hot stars, gas and dust spiraling toward them emit bright X-rays. But that doesn't mean there's a cataclysmic black hole in the vicinity; it could simply be a very massive object. The debate petered out decades ago but there's still no ironclad proof that black holes exist. There are enough problems in black-hole theory itself to make their existence seem implausible to say the least. These problems stem from the fact that our Universe is actually very different from the one that Schwarzschild considered. If we're to produce a proper description of the Universe we live in, Einstein's classical theories need to be meshed together with what we know about the quantum laws governing the behavior of fundamental particles and fields. Mazur and Mottola have been thinking about quantum gravity for nearly a decade. They began by examining the nature of "quantum fluctuations" in space, time and even in energy fields. Empty space, for example, is never really empty. On the tiniest scales, little particles are popping in and out of existence all the time, creating a seething, fluctuating fluid. "Like a fish in a calm pond, who is not aware of all the incessant jiggling of the water molecules, we are usually not aware of the quantum medium we are immersed in," Mottola said. And they have found that quantum fluctuations in the electromagnetic fields that describe tiny things like photons can influence gravitational phenomena on the large scale-such as black holes. So, they reasoned, when early black hole theorists ignored quantum effects they were creating an unreal space-time. When a star forms a black hole, all the unique information about the star -- its chemical composition, for instance -- appears to be squashed out of existence. Yet current theory suggests black holes have enormous entropy -- a billion, billion times that of the star that formed them. No one can fathom where all this extra entropy comes from or where it resides. "Where are all these zillions of states hiding in a black hole?" says Mottola. "It is quite literally incomprehensible." Black holes are a bag of contradictions that don't make a good case for their own existence at all. Mazur and Mottola have shown that quantum effects can make space-time change into a new and curious state that would lead to the formation of a strange new object. That change is a phase transition, like liquid water turning into a solid block of ice. They believe that in the extreme conditions of a collapsing star, space-time undergoes a quantum version of a phase transition. The phenomenon is nothing new. The Nobel Prize for Physics in 2001 was awarded for the observation of just such an event in the lab: the transformation of a cloud of atoms into one huge "super-atom," a Bose-Einstein Condensate (BEC). This clump of atoms, which all share the same quantum state, forms at temperatures within a whisker of absolute zero. When an event horizon is about to form around a collapsing star, Mazur and Mottola believe that the huge gravitational field distorts the quantum fluctuations in space-time. These fluctuations would become so huge they would trigger a radical change in space-time, very similar to the formation of a BEC. This would create a condensate bubble. It would be surrounded by a thin spherical shell composed of gravitational energy, a kind of stationary shock wave in space-time sitting exactly where the event horizon of a black hole would traditionally be. The formation of this condensate would radically alter the space-time inside the shell. According to Mazur and Mottola's calculations, it would exert an outward pressure. Because of this, infalling matter inside the shell would do a U-turn and head back out to the shell, while matter outside the shell would still rain down on it. What's exciting, they say, is that gravastars don't suffer any of the mathematical ailments of black holes. There's no riotous singularity where the laws of physics break down. There's no event horizon to imprison light and matter. And the entropy of a gravastar would be much lower than that of any star that might collapse to form it, dodging the problem of excessive entropy that plagues black holes. Take a gravastar with a mass 50 times that of the Sun wouldn't emit any radiation, making it as black as any black hole would be. Marek Abramowicz, an expert on black holes at Gothenburg University in Sweden thinks they might explain gamma-ray bursts -- ultra-intense flashes of gamma radiation from a distant source that appear somewhere in the sky about once a day. The birth of a gravastar would be extraaordinarily violent and might shed enough energy to account for gamma-ray bursts. Three years ago, data from distant stellar explosions suggested that the expansion of the Universe is getting faster all the time (New Scientist, 11 April 1998, p 26). Many physicists ascribe this acceleration to a mysterious "dark energy" that gives space an outward pressure. Mottola says that if you scale the size of a gravastar up to around the size of the visible Universe, the pressure of the vacuum inside roughly matches the pressure that seems to be accelerating the expansion of the Universe. So our Universe might be one big cosmic gravastar: a giant shell trapping the Milky Way and all the other galaxies we see. "We might be able to entertain the really radical notion that we -- and everything we see in the Universe -- could be inside such an object," Mottola speculates. A gravastar would differ from a black hole by shining more brightly, since matter falling onto one would be turned into radiation. Black holes would gobble all the matter, but a gravastar would let its energy escape. All the same, Mottola and Mazur admit there are still unsolved issues with the formation of gravastars. "We must have a better idea of how this phase transition actually occurs in the gravitational collapse process," says Mottola. But if gravastars can weather the controversy, then maybe there'll no longer be any need for black holes -- maybe they really are pure fantasy. It wouldn't be the first time that Einstein's dazzling intuition has been proved correct. (Source: New Scientist, Cosmiverse Staff Writer). After all, the Fool knows nothing, and yet is the very image of Superconsciousness. It is difficult to think of examples of Uranus that are not better accounted for under Cronos or Saturn, being closer to human behavior. However, as Uranus was founding father, he might have inspired the American Revolution, and our founding fathers. Negatively, repressive leadership such as Ayatola Khoumeni and Saddam Houssein. KEYWORDS: Anthropos, Aquarian Conspiracy, New Age, revolutionist, cosmogony, superconscious, irrationality, non-linear determinism, occultism, sudden, unexpected, vision, originality, reform, set-backs, anti-authoritarian, disruption, personal expression, electromagnetism. Seek the counsel of Uranus about the effects on you of the Devouring Father complex. Perhaps it happened in your family that father swallowed up or superseded the needs of other personalities in the family. Or, maybe society has suppressed you through outworn paternalistic pressures. The higher aspect of Uranian consciousness is known as cosmic consciousness or superconsciousness. When you imagine Uranus in profile at the center of a flaring galaxy, his hair and beard become cascades of stars, strewn through space in gigantic spiral arms. Become that image of vast Uranian being, experiencing universal consciousness for yourself. Express this awareness through a more fulfilling life. Dialogue concerning your faith in Divinity. What is the primal basis of your feelings of security in life. Do you feel secure, even when it seems irrational in light of current events? Can you look at the panoply of past and future events as a wondrous gift of God? 1. Spontaneity is linked with intuitive perception of divinity within. What is your perception of this force? 2. Do you take an interest in occultism, or the hidden matter of life? 3. Describe the extent of your spirit of adventure. Remember, divinity is the spirit of adventure, always working towards greater awareness and self-experience. Describe your experience of superconscious perception. 4. Have you had an visionary experience? Are you creative, progressive, intuitive, or original in your thinking? Do you follow vision with action? 5. Do you act according to your own inner promptings? 6. How do you facilitate letting your latent genius come to the fore? 7. Describe your popularity and influence with others. 8. How do you react when tested with unexpected set-backs and disappointments? How do you respond to accepting rules and regulations? 9. Did the Uranian force or consciousness ever blow your mind out of uncreative routines of action and thought, forcing you to establish a new way of being? 10. How do you accept disruption in your life? Do you tend toward emotional unstability and tearing yourself down? How could you gain perspective? 11. Describe your inventiveness and originality as personal expression. 12. Are you open to new opportunities, new situations which break the monotony of daily routine, new fields to conquer, new heights to scale? 13. In what area of ife are you playing The Fool, operating entirely on faith and trust? Where are you going? What are you feeling foolish about? What would be fun to do if you could do anything you wanted. ?